Organic food shopping can get expensive. If you haven’t checked the prices of grass-fed organic beef, free-range chicken, or organic broccoli, you would be surprised when you realize that gone are the days when food shopping used to be a small fraction of your monthly budget. However, it is important to realize that spending money on foods that don’t have any nutritional value is also the waste of money, and moreover, it also deteriorates your health! Pre-packaged foods should be avoided as much as possible. Most of these pre-packaged foods are loaded with preservatives and they lack the high-quality nutrition our body needs. Additionally, they are pricey. Instead of pre-packaged foods, consider slow-cooker recipes. Not only do they save you time and money, but are also highly-nutritional. Drastically reduce the consumption of packaged juice, soda, and alcohol. These beverages are filled with empty calories. They empty your wallet while filling your body with useless calories. Instead, consider fresh juices and green tea. Local farmers markets are the best choices for getting high-quality fresh fruits without spending a lot. Replace your sodas with a cup of green tea. You can get a bag of 100 green tea’s for the same cost as a 6-pack of soda bottles. Green tea is filled with anti-oxidants and has negligible sugar content. Food gardens are becoming very popular in US and Canada with an increase in health consciousness. National Gardening Association conducted a comprehensive research on the topic of food gardening and its return value. It was derived that an average food garden yields over $500 in return on average. For more details and research statistics, please visit The Impact of Food & Community Gardening In America. Whole grains like barley, quinoa (m personal favorite), millet, and oatmeal are very nutritional and cost-effective. They fill you up because of their wholeness and have high fiber content. You should not limit your choices to rice and pasta should when it comes to making a list for cost-effective grocery shopping. Organic deli meats are not as expensive as pre-packaged organic meats and have higher nutritional value too. For additional savings in meat, consider grinding meat on your own instead of buying pre-packaged meats. Healthy grocery shopping is not as difficult and expensive as it is perceived by most of the shoppers. Putting in a little bit of extra effort in your grocery shopping can result in significant savings, both for your wallet and your health! Amy C. is an enjoys exploring options for creating a healthy, conscious, and frugal lifestyle. She is based in Phoenix and is an ASU full-time business student. Additionally, she has an e-store in the niche of indoor fountains. Amy invites you to browse a recently launched a line of solar fountains for garden and patio enthusiasts. In her free time, Amy applies her business acumen in creating valuable marketing content for a Phoenix Internet Marketing firm, Niche Solutions, LLC. Thanks for the green tea tip, I did this about 1 month ago switching from diet soda to green tea.I do add a little squirt of agave nectar in my iced green tea to sweeten it up a bit. I am also in San Diego- Actually in Oceanside. Found your blog through twitter I will put you on our blogroll. .-= Iris RobinÂ´s last blog ..Nasturtium salad recipe. Source for your organic gardening supplies. =-. Congratulations on giving up the diet soda; I haven’t done that yet but have added green tea to my diet. We used to live in Oceanside but moved inland a couple of years ago. As far as beverages go, i Mostly drink skim milk, black tea and water. Green tea is too bland to drink without a sweetener, so i’m not sure I’d reduce my sugar intake, tho green tea certainly offers health benefits. As for grains, i much prefer whole wheat berries, which have a chewy texture. It’s a shame I don’t see mention of them that often. I’ll have to give the whole wheat berries a try. I’ve tried many new grains over the past year but not that yet. Barley is a new favorite of mine that I never ate until recently. I sure love my garden. I give away more than we eat but thatâ€™s ok. I see green onions growing today as the snow melts. I get more creative every year on getting my garden to produce for more of the year. 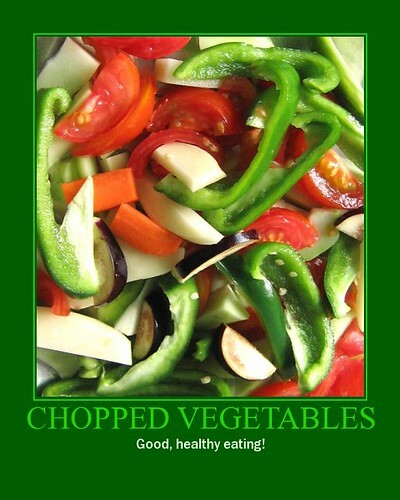 Once you eat fresh veggies the rubbery ones in the store at 3 buck a pound donâ€™t cut it. Daddy Paul, we don’t have our own yard with our condo so no gardening. However, I should start shopping the local farmer’s markets especially now with spring produce available. I’m just starting my balcony garden too…. Tomatoes and basil (staples in my house) first. Forest, I knew you’d be stopping by when I read you were hitting all the links in Jeff’s post. Thanks for stopping by. I’m sorry you don’t have Quinoa in Egypt. Tonight we had barley for dinner. Do you have that there? Ahh cool, wasn’t sue if many people picked up that I was doing the rounds, it took forever and ever to read every single post!!! I almost bought barley yesterday but I have no idea how to prepare it and didn’t know you could eat it like rice on the side…… I will have to look up preparation and grab some. I have been eating more cous cous but I don’t love it that much unless it’s got loads of chilli in it :), I just need to cut down on rice and pasta. I know brown rice is fine but it’s still good to have a variety of grains and pulses in my diet. Many of these I already try to follow (I don’t drink soda at all, and rarely drink juices) and I try to include lots of fresh veggies whenever possible. I have been meaning to look for quinoa or bulgar (do I have that name right?) and try them as well. We eat tons of pasta but it does get old sometimes. Trockmorton Jones, I hope you’re eating whole wheat pasta. It’s an acquired taste but healthier. I love it, but its not always on the shelf when I go to buy some so its hit or miss. I think we have one package of whole wheat spaghetti left, and then its the other stuff for a while. I never really noticed that much of a difference in taste the first time we used it, but I have noticed some seem to sit heavier in my stomach then others making less more. Same with whole wheat tortillas.